And here we have the last review from my Crown Brush haul. 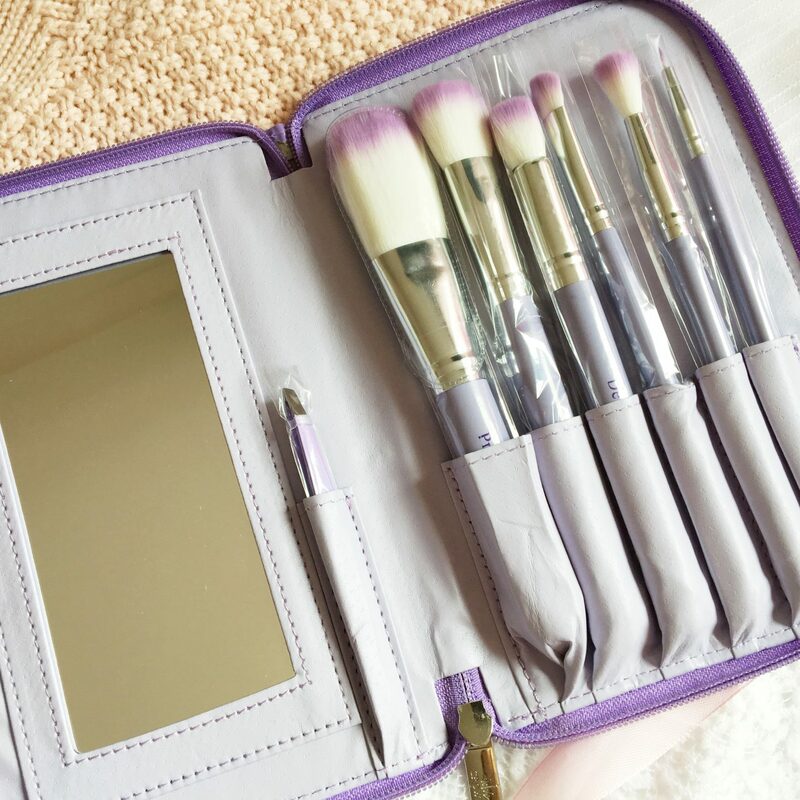 Today’s post features the 523 Purple HD Brush Set which also includes tweezers. Coloured brushes seem to be really on trend lately with all types of brushes popping up all over the place. These are extremely gorgeous, but nothing over the top which is nice. First things first, I have saved my least favourite out of the three for last. I’ve tried to increase my use of these to hopefully feel a little better for them. Do I hate them? No. I find the nylon bristles to be too soft which I’m sure a lot of people will love, but I find it hard to apply a product when the bristles shoot out in different directions when you use it. This doesn’t happen if I I’m not in a rush and can take my time, as I find it better to be gentler and not go in with a heavy hand. 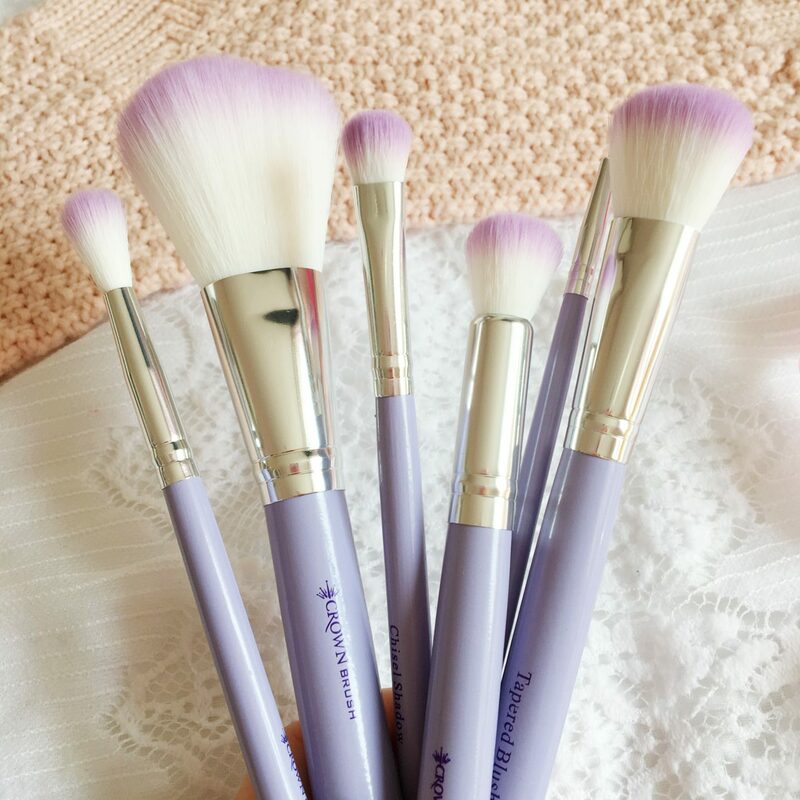 I do love these brushes for blending out, and find that they are amazing for that! The Chisel shadow brush is one of my favourites, as I find it easy to pile colour on with this one as it is a little more dense than the others, so building colour up with this, and blending out with the crease blender is really great, and they make a good duo. I have got a good application with these brushes, I just find myself having to be more careful with what I’m doing. The Pro Powder Brush is a bit of a struggle. For me it’s a little too soft and not as dense as I like my powder brushes. I will say the tweezers are great, as they are precise and make the whole process easier and quicker. They arrive beautifully packaged, in a pretty purple patent case. It’s slim and easy to take travelling, this is because it takes up no room. You get a medium-sized mirror in the case too, which is really handy. If you like your brushes extremely soft then you will love these, as they are great quality. They just aren’t my favourite and hey that’s okay as we all aren’t going to like the same thing. 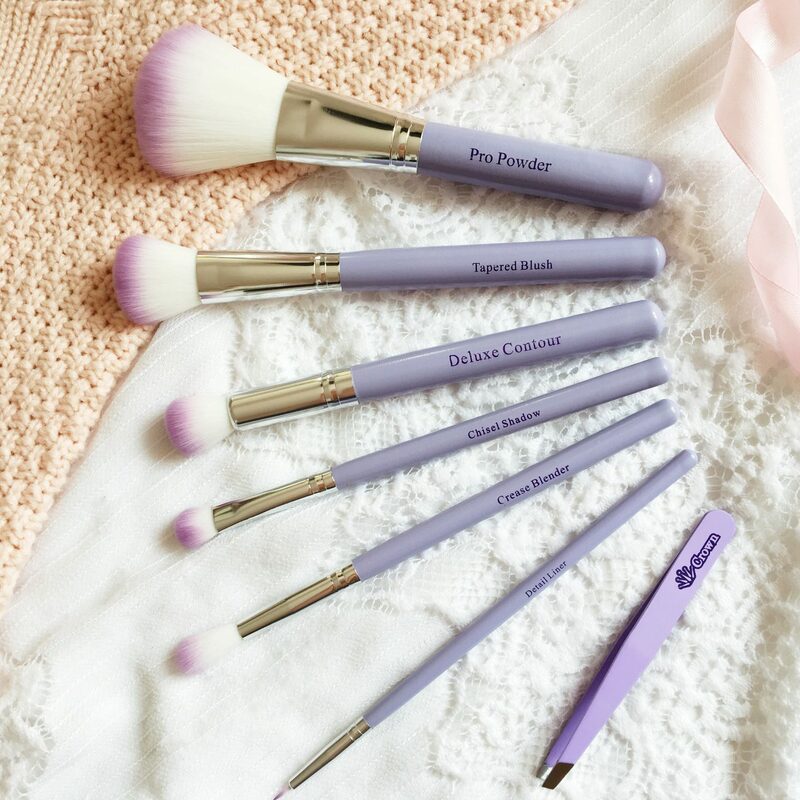 Have you tried any brushes from Crown Brush? 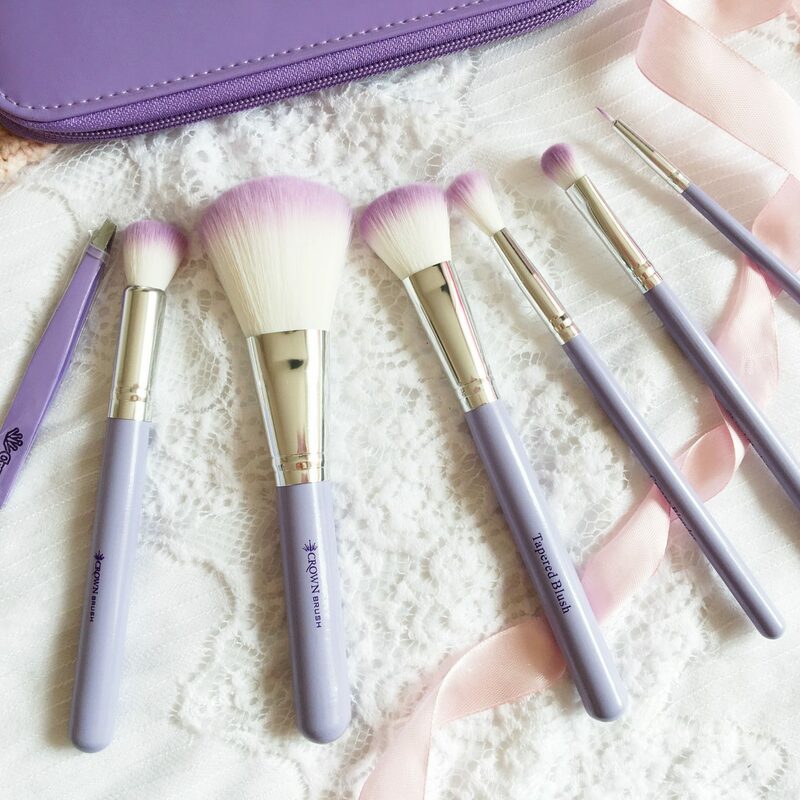 These brushes look so so pretty! I need to give them a go! These are so pretty! They sound good for the eyes and blending, like you said. I don’t know if I’d like them for more precise work. They look super soft and nice. That’s how I like my brushes. Love the lavender purple! I’ve heard so many good things about the Crown Brushes, just haven’t had the chance to test them out yet! These look so pretty. 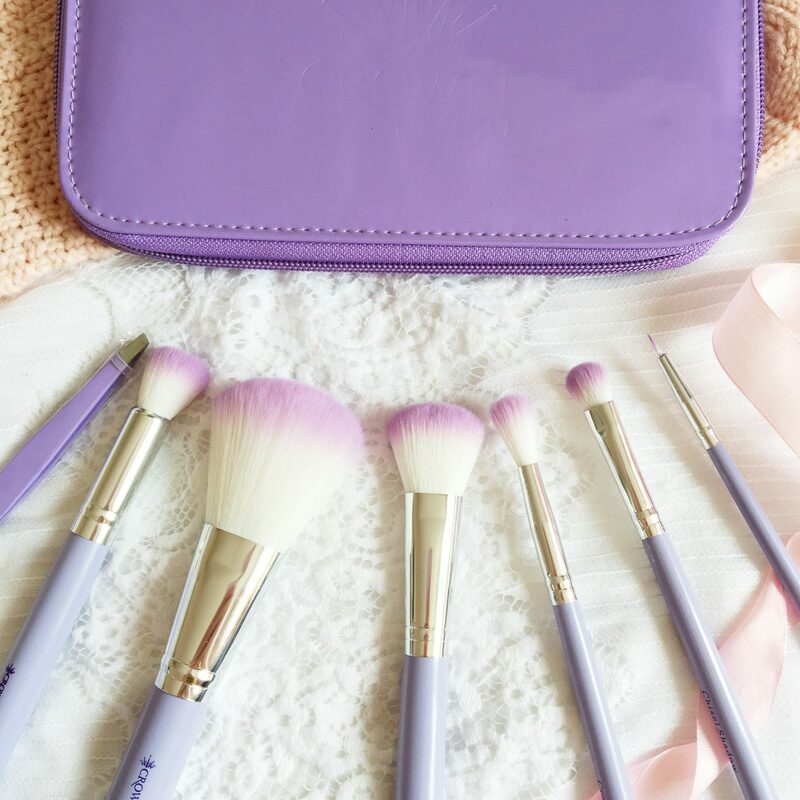 Obviously you’re going to have some favourites out of the set, it’s hard to find brush sets that you will like every single brush of. Glad you do like the eyeshadow ones, then! These brushes look so pretty ! Love the color ! Oh my word, these look and sound gorgeous! I LOVE how cute they are and that mirror is genius! I love the ombre effect on the tip of the brush. They are so pretty! I love the purple on the brush! 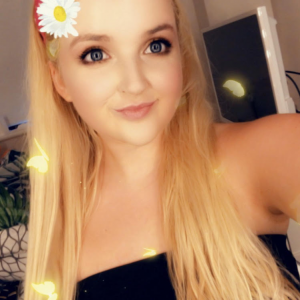 SO feminine!